Join the mailing list to be the first to know of upcoming releases! Added Chapter 6, which dives deeper into functions! Interested in Pretty Smart Games? Visit our website! Code Romantic Artbook Coming Soon! Should we change to a Discussion Board? Visit us at the Game Devs of Color Expo! I loved this. I loved programming when I had a great teacher that explained stuff quite well and made me quite excited to try making my own games! But as I progressed through my course my teachers weren't as good and to this day I still have trouble with C++ or object-oriented programming in general. This rekindled that love for typing code and built a bridge between my love for C and my fear of C++. But enough of my story - I want to talk about the game! The gameplay is very approachable! I liked fixing small parts of the code by clicking through it to do different choices, even though I do have experience with programming. Manually typing code is a nightmare, but when I wanted to truly learn and understand the code (what is it about) there's a pretty useful and entertaining Dictionary that explains what a particular word of the code does what. It explains semicolons, curly brackets, arguments, class names (what is a class about?) to even mundane numbers! I spent a lot of time reading the code and the Dictionary and just understanding the code even though I knew the choices I made was correct at the time, and when I got it wrong because I didn't read properly, the characters talk out the problem and give further explanations about the code and what I had to do. The dialogue system is a little basic though, lacking even a way to view previous messages (so you're screwed if you skip over some dialogue). Also it lacks transitions which makes scene switches feel grating (like from class to cafeteria, and back). I guess it's excusable since this is made out of Unity - maybe I'm just too used to the comfort of RenPy based novels. The two main characters are very likeable, but the game doesn't focus too much on dialogue, which is bad for the side characters as they don't get much screentime (although they're interesting nonetheless). This is also a good thing though since it allows you to focus more on the gameplay/programming, so you're learning something, Very YourMileageMayVary! To say the least, I definitely recommend this game if you're either looking to learn programming, or have a dessert of a romance story. But it definitely helps if you do like the story because it'll motivate you to learn! And thanks to everyone involved for such a nice game! Hey, thanks so much for the kind and useful feedback! We loved hearing your story too! Right now we are finishing the story content and then we will do a polish pass on the features before we release. Viewing dialogue history is one of the features on our list, so it's great to hear that it's important to you! Thank you, we hope you enjoy the full game as well! Edit: After chatting more, we think the "lack of transitions" described above may be a Linux bug. If you're using Linux and experiencing issues, please let us know! I love this game so much. I'm actually about to start a college course that goes over coding and this is helping me a lot with learning some the basics. I can't wait for more updates!!!!! Thank you! We're so happy to hear this. Good luck with your course! Hello! I love this game so much! I got to the end of the latest preview and was left longing for more. I shall wait patiently for the next update and I hope all is going well for you! Hey lilyhavok! We wanted you to know that we released Chapter 5 and are already working hard on Chapter 6. Thanks for liking Code Romantic! Hey VikingQueen! 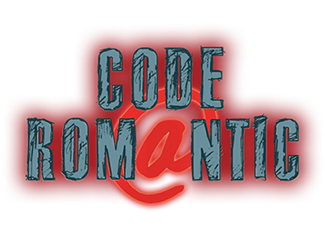 We wanted to let you know that we recently updated Code Romantic to include Chapter 5, and we are hard at work on Chapter 6. Also, I don't know how old your daughter is but I thought you'd like to know that we plan to include parent and educator guidelines soon so you know what kind of situations to expect in the final game. The rule of thumb we've been following is: if you're okay with your children reading Harry Potter or Twilight, Code Romantic is probably fine. Let us know if you have any questions about the game! Thank you! Oh, I see! Thank you for telling us this! We should have made a 32-bit version, I apologize. Right now we are working on the next game update. I will upload a 32-bit version with the update so you can play. Sorry for the delay, and thank you again for letting us know! Hello! We just updated to include Chapter 5, and we've added a Win 32 version. Please let us know if you have any problems. Thank you! And... I can't stop fangirling over every tiny detail interaction of Mina and Leon (never I feel eager to ship the protagonist -not as myself- to the Love Interest this hard, they are the most adorable couple that I could fight bloods and tears to make the ship sail (T^T )/ ). If you want to be the first to know about Code Romantic news, please sign up for our mailing list: https://madmimi.com/signups/120473/join And we would appreciate it if you would tell your friends about the game too <3 Thank you so much!